Limit 10 vouchers per reservation. Valid during the month of June and from August 10 to Labor Day. Reservations are required and space subject to availability. Merchant cancellation/re-scheduling policy of 48 hours applies for groups of 1-9, or 7 days for groups of 10+; voucher subject to forfeiture. Entire value must be used in one visit. 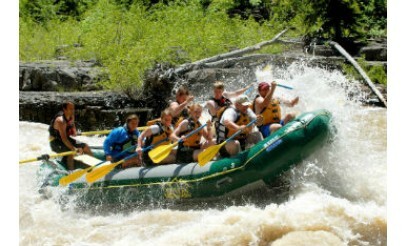 Minimum age for whitewater rafting is 6 years. Valid through: Sep 7, 2015. See the terms that apply to all deals. If you're looking for a thrilling whitewater rafting trip through the majestic Teton Range, let Teton Whitewater be your guide. Each trip lasts about 4 hours, including bus ride time, and covers 8 miles of the Snake River. 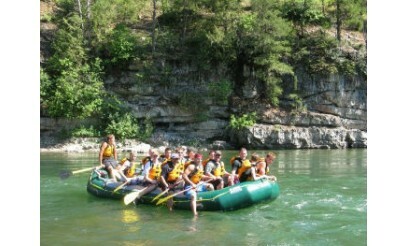 Rafting trips begin on June 1. Meet in Jackson Hole, WY for your trip! 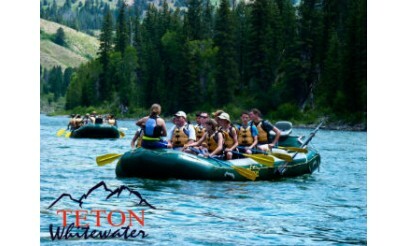 Print your voucher (log into your account and click "My Printable Deals"
Teton Whitewater offers Whitewater and Scenic Rafting Trips on the Snake River in Jackson Hole, Wyoming. Come by and take a trip down the river with their friendly guides and staff. You won't be disappointed and won't forget it anytime soon!